Conditions in different workplaces, industries and countries will vary and so will the possibility of organising struggle. 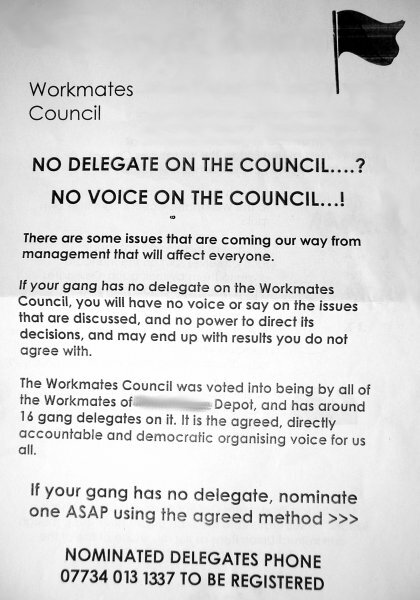 But no matter the conditions, militant workplace organisation cannot be achieved by political groupings organising outside of the workplace. So the revolutionary union is neither a political organisation nor an apolitical union concerned only with bread and butter economic disputes. The revolutionary union does not just organise in the workplace but also in the communities we live in (such as the CNT in the Puerto Real shipyard strike of 1987). It seeks to be a permanent revolutionary presence that organises direct action, both to improve working class life in the here and now and to develop a culture of resistance within the working class. As part of our efforts to form such an organisation, the Solidarity Federation is training and supporting workers who want to organise their workplace. 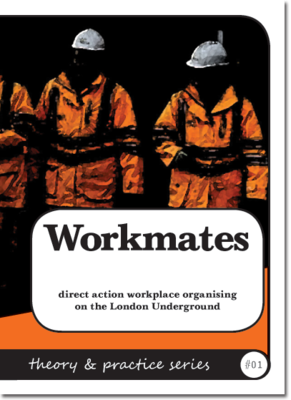 We are committed to supporting workers organising regardless of whether they believe in every word of our constitution and regardless of whether they work somewhere with a permanent, fully-unionised workforce or in a completely precarious non-union job. If we are going to build a culture of resistance within our class we have to start with our everyday lives, where we live and where we work. 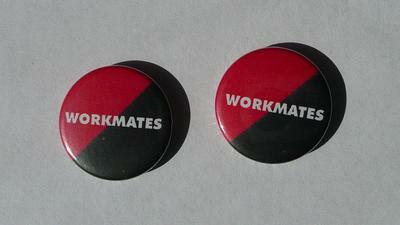 And as the Workmates experience shows, even one radical worker acting within a workplace can get a lot done. Using the unions when necessary but not relying on them; knowing the law but relying ultimately on direct action, solidarity and workers' control of struggle. This is the basis of anarcho-syndicalism. Pamphlet taken from the Solidarity Federation website where you can also order a hard copy via Paypal. The piss strike proved remarkably effective, with very little work getting done. 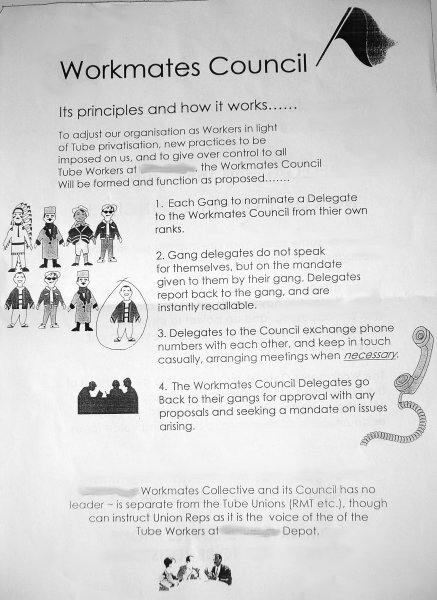 Alongside the other work-to-rules, this had almost the effectiveness of a strike - but without the loss of pay and without the risk of being sacked. Would it be possible to have a PDF (or even better the original file format!) so we can start working on Slovak translation with all the graphics at hand? all the graphics from the print version are included above, but will look into pdfs (i won't think these would be any easier though?). Did Workmates ever revive in some form or another?